Kay Kapoor is being replaced by Xavier Williams to lead AT&T’s $15 billion business unit. 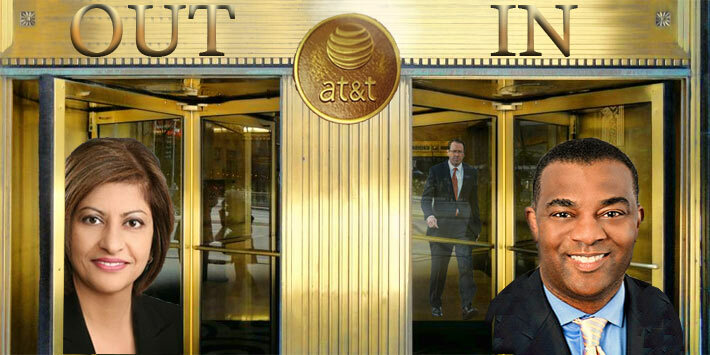 Confirmed reports are stating that Kay Kapoor, the head of AT&T Global Public Sector, has resigned. The news took many industry observers by surprise since Kapoor, who had led AT&T’s federal business for four years, and the company’s successful efforts to secure the multi-billion-dollar FirstNet public safety network contract, was appointed to her key corporate position in April. AT&T appointed Xavier Williams to lead the $15 billion global business unit. The announcement of Williams’ appointment yesterday had no mention of Kapoor. Why Kapoor and AT&T have gone separate ways is unanswered. Xavier is not new to the space and, according to an AT&T’s statement, he led AT&T’s Public Sector and Healthcare organization from 2008-2012. Prior to that, he served as vice president of federal sales. Prior to joining AT&T, Kapoor served as CEO of Accenture Federal Services (AFS) a wholly-owned subsidiary of Accenture LLC. In this role, she led the US Federal business and was the chairman and CEO of the Board of AFS. Before her tenure at Accenture, Kapoor worked for 20 years at Lockheed Martin Corporation leading complex organization units, as well as government relations. She ultimately served as Vice President and COO of Lockheed Martin’s IS&GS-Civil Unit. Kapoor holds a bachelor’s degree in information systems from the University of Maryland and a master’s degree in business from Johns Hopkins University. She also completed executive programs at the Massachusetts Institute of Technology and Harvard University. Over 26,000 other people receive our regular updates ... shouldn't you?